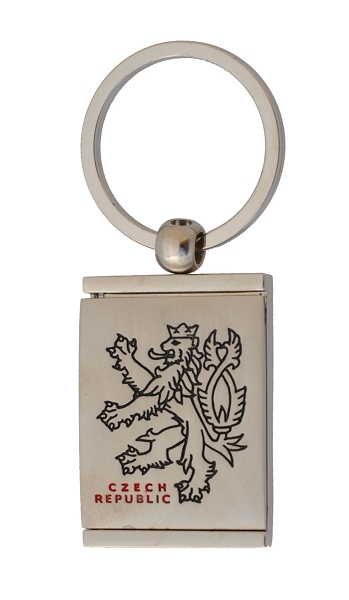 Metal key tag with the motive of Czech Lion. The tag contains a compartment where you can put a small photo of your friend or child, protected with a cover. Nice small souvenir from Prague. Designed and made in Czechia.